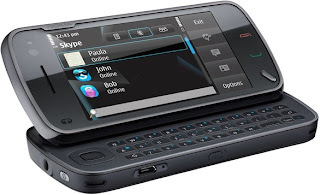 The Nokia N97 software update release 2.1 will be available through the Nokia Software Updater on Monday 1 February. The software version number will be 21.0.045 (RM-505) or 21.2.045 (RM-507) depending on your region, and should be available by 08:00 GMT. The release for N97 China 2G (RM-506) will follow shortly. This 2.1 release offers additional improvements to the 2.0 release made last year. As usual, we will published standard non-customised versions of the software, with country (SIM-free) and operator versions following over the next few days and weeks. The Nokia N97 (and several other devices) can check automatically for new software. Go to Menu > Applications > SW Update and enable automatic checking. MyNokia members will also receive an SMS stating "new software is available" as the deployment progresses. To register, go to Menu > Applications > My Nokia > Sign up or visit www.nokia.com/mynokia. Initially, this software update is only available through the Nokia Software Updater. Due to wealth of new content available in this release, the over-the-air "FOTA" packages are larger than normal (around 17MB) and to allow for sufficient testing, delivery will be slightly delayed. Backups before updating your Nokia N97 are not essential, but to help you get the most from your new software, we recommend that you sync your device or make a backup excluding settings before updating. After the update, reset your device by keying *#7370# and enter your lock code (default = 12345). Then you can resync your device and restore your backup. Finally, visit Ovi Store to download the latest versions of your favourite applications.